Urbanz Accommodation provides a complete service for those on Work and Working Holiday Visas. New Zealand is an amazing country and a great way to enjoy it is with a Working Holiday visa. That way you can see the country and make money for further travel! To be able to legally work in New Zealand, you need a Working Holiday or Work visa. When you have one, simply come to New Zealand – and we can help you with the next steps if you stay with us. And we also have a jobs board with local employment agency information. What do I need to do after arriving in New Zealand? Before being able to setting up a bank account, you need to have a proof of a New Zealand address where you get your mail afterwards. We can give you a proof of address at Urbanz, so no need to be stressed about this. After obtaining proof of address the next step is the bank account. You can choose from a few banks here in New Zealand, but the most common are Kiwibank and ANZ. At ANZ you can even set up a bank account from overseas before coming here, so you don’t need the NZ proof of address at all. Sometimes it can get tricky though so a lot of people still choose to do it in person. An IRD tax number isn’t essential for working, but if you don’t get one, you will be taxed 45 % from your wage and that’s why everyone applies for the IRD number anyway – then you are only taxed at 17.5%. In fact if you earn less than $14,000 in a year, your tax is only 10.5% but you usually have to claim difference back from the IRD after March 31. To apply for an IRD number, you need an active bank account and a New Zealand address where they will send you the number. You can use our address for this, but don’t worry – you will get the number also via text message or e-mail. You can apply either with a paper form IR742 or online. 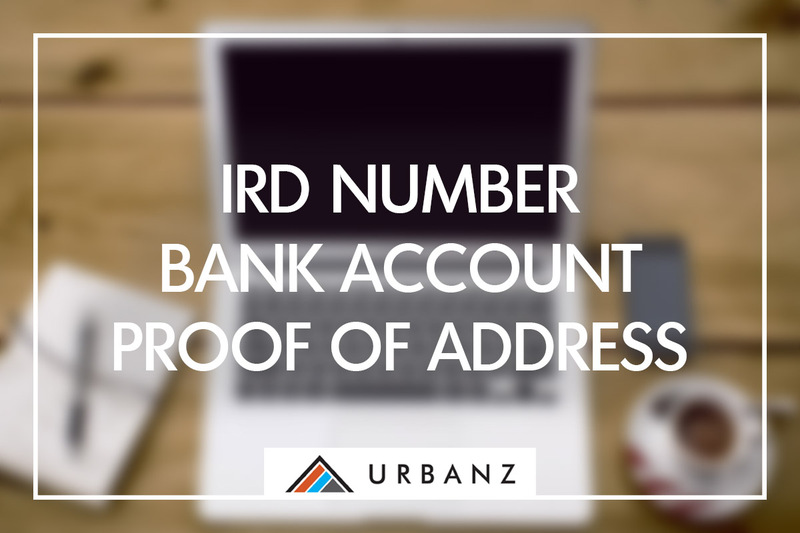 Our skilled staff will happily help you with applying for the IRD number, we have the paper forms at Urbanz Accommodation or you can use the computers available at the lounge. Don’t get stressed on your own, we at URBANZ can help you! We have special price offers for people staying with us longterm, just contact us for further details! And if you’re looking for a car, we have a huge noticeboard with current ads for campervans and cars.